A tick bite caused a massive intestinal infection requiring a 10-day hospital stay that could have turned deadly. I’m sure I was bitten by the tick while working in my garden. It became so embedded I thought it was a cancerous skin mole. You may already know this by now if you had read the previous post “Growing Mole”. My intention was to hopefully spare you from experiencing a similar ordeal. However, if you, like my sister, thought I had misspelled mole and was not interested in reading about how to grow mold in my garden, then my attempt at being suspenseful, as well as informative, failed. So much for trying to tell the sequence of events in a “whodunit” style. Lesson learned–sometimes catchy titles can backfire. “Hospital Calamities” or “How To Avoid A Hospital Stay” or “From Garden to Grave?” Any one of those titles could have been used for this post. Well, it’s that time of year again…springtime. 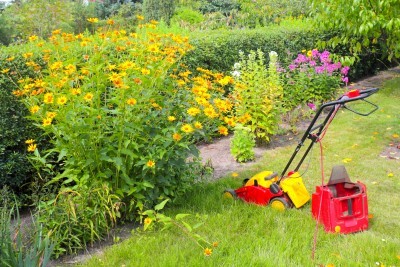 Many of you are so glad to get outdoors to commune with nature by gardening and working in the yard. For me, springtime means, “Oh, no, here we go again!” Weeds keep growing in spite of what it says on the label of weed killer. The grass needs cutting long before I’m ready to fight with the lawn mower again. Flowers stay thirsty. All sorts of worrisome things are lurking out there to cause you much pain, anxiety and distress: bugs, gnats, flies, mosquitoes, ticks, bees, wasps are just a few of the things waiting for you to come out of the house. I always hope I don’t fall and break something while running from a 6-foot long black snake, but at the same time, so glad it’s not a copperhead. Being in the yard can make you sick in more ways than one. I decided to plant flowers one year and they were beautiful…a sight to behold. One morning I opened the blinds expecting to behold that beautiful sight and it was gone. 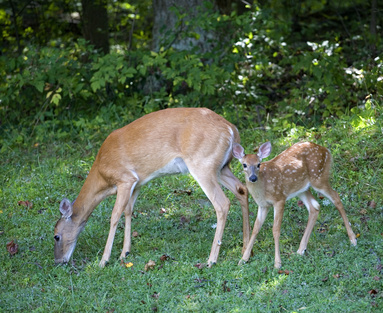 The deer had eaten those gorgeous blooms down to nubs–made me regret all those tears I had shed over Bambi’s mother years ago. Fast forward several weeks…or a few months? One evening, excruciating pain started in the upper right side of my abdomen and got progressively worse. It sent me rushing to the bathroom several times with terrible consequences at both ends and I soon passed out. When I came to on the bathroom floor, I was dripping in sweat and in so much pain, death was an option as far as I was concerned. Had to crawl to the phone to call 911, then crawl to the door to unlock it for them. When I got to the emergency room, I was given a shot of morphine for the pain. Within what was probably less than a minute, as the nurse was about to leave the room, I felt like I was about to leave this earth, but thankfully, I was able to call out, “Nurse, help, I’m dying!” I felt paralyzed and I could not have pushed the call button even if I had known where it was. I went out like a light. When I came back among the living, my room was full of nurses and doctors with anxious looking faces. I often wonder if I could have died had I been unable to call out to the nurse. After several days in the hospital on IV antibiotics and a boat load of pills, one evening shortly after taking those pills, nausea set in. Within minutes I had to hurry and drag that IV pole with me to the restroom. There I became violently ill, passed out, then woke to find myself lying in a pool of bodily fluid that looked like brownish, yellowish, greenish antifreeze–something that never should have come out of a human being. I pushed the call button and when the nurse came, her eyes widened in disbelief when she saw me soaked in that colorful mess. She called for aides and other nurses to help solve the mystery but everyone was dumbfounded. After they cleaned me up and I got back in bed, they were about to leave the room when I had to call out, “Nurse, I feel like I’m dying!” (Again.) I just knew that my heart was going to stop beating. When I came to this time, they had taken an EKG (electrocardiogram). The next morning when my cardiologist came, he showed it to me and said that my heart had really slowed down. (The peaks and valleys were few and far between.) He had no explanation until I told him about the medication that was obviously meant for someone else. The doctor said it looked like a skin tag and that she could cut it off or refer me to a dermatologist. I opted for the dermatologist who said it looked like a skin tag to her also, so she cut it off and sent me home. When I got home, there was an urgent message on the answering machine from the dermatologist telling me to call her immediately. Upon returning her call she said, “What I cut off was not a skin tag, not a growing mole, it was a TICK!” (Yes, a tick…of course from my yard. See, I told you it was dangerous out there. )Who knew that something not even as big as the period at the end of a sentence, could sentence me to so much pain, distress, and possible death. Of course I had to start on a different antibiotic because those I had been taking for the past two weeks were ineffective for treating the infection caused by the tick. I was well in a few days. 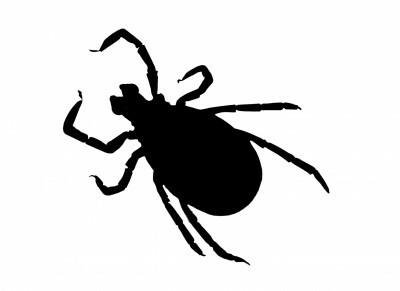 Checking yourself and family members for ticks is essential especially after being in areas where ticks thrive. It is important to remove the tick as soon as you find it. Early spring to late summer are when they really jump into action. Check with your health care provider, pharmacist or go online for information on safe and effective methods for the removal, prevention and treatment of tick bites. Don’t wait until you get to death’s door before calling 911 for help. 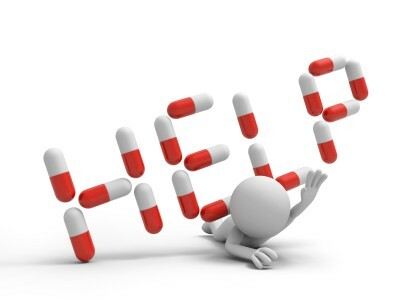 Be cautious when taking pain medication especially when your body isn’t used to it. 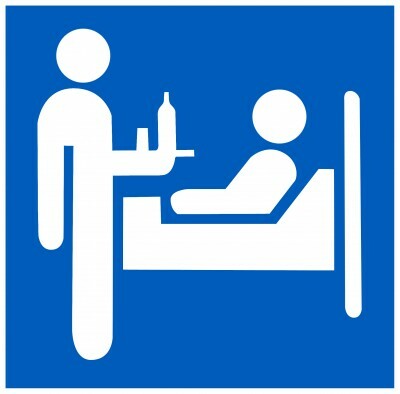 If you’re in the hospital, make sure someone stays long enough to see if you will have a bad reaction. Know what your medications look like and what they are for. Every year, thousands of hospital patients in the US die from medical errors, and too many patients will suffer from serious and preventable mishaps. Don’t trust others to always be diligent when it comes to your health. But in spite of what could have been a garden to grave fiasco, I’m so thankful we even have hospitals. GOOD LUCK WITH YOUR YARD WORK!